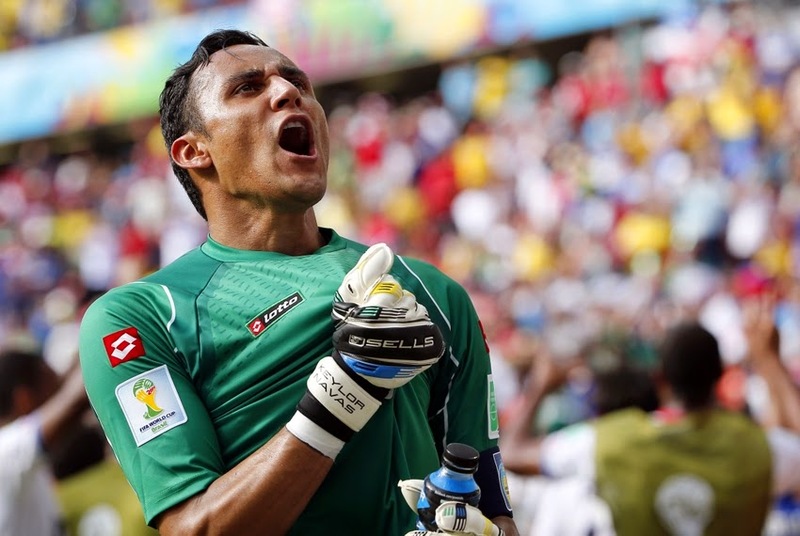 Some of the biggest European clubs are looking at Keylor Navas as a target for this upcoming transfer window. 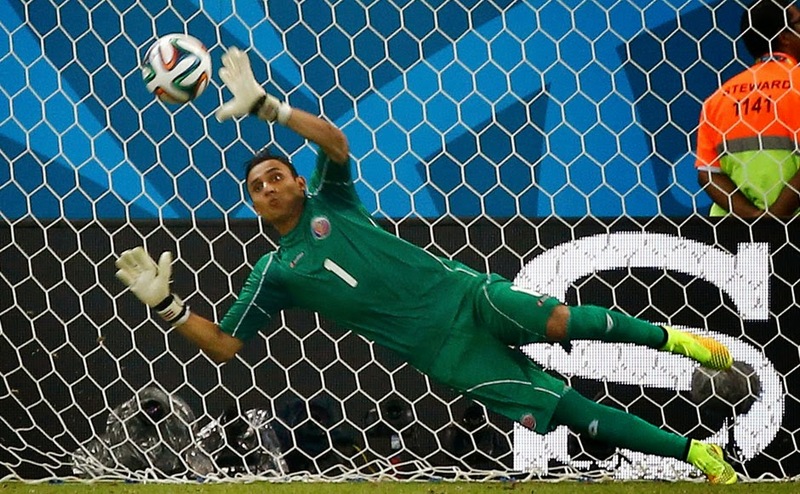 The Costa Rican goalkeeper has had an incredible World Cup and in large part is due to his incredible performances that Costa Rica made it to the quarter finals of the tournament and will play the Netherlands on Saturday. He was the man of the match in their round of 16 confrontation with Greece, which saw him save Gekas penalty to send Los Ticos to the quarter finals of a World Cup tournament for the first time in their history. The interest of several European clubs started shortly after the 1-0 win against Italy during the group stages. He had been phenomenal in net against Uruguay’s match but the performance against Italy cemented his status as a truly world class goalkeeper. He has only allowed 2 goals in 4 games, one of the best ratios in the tournament and of any goalkeeper still left in competition. The latest club to add its name to the growing list of clubs currently looking at Navas is Real Madrid. News coming out of Spain point in that direction, with Diego Lopez close to a deal with Napoli and Iker Casillas falling out of grace, the move for Navas seems to be a logic one. According to Antena 3, Real Madrid, FC Porto, SL Benfica, Atletico Madrid and Monaco are all in the race to sign the Levante goalkeeper. Levante is open to offers and will most likely deal him to the team that makes them the best offer, and it will be very difficult for some of these clubs to compete with Real Madrid on that front. In case Madrid fails this signing they have also been looking at Kiko Casilla from Espanol, but Navas is their main target. FC Porto has been reported to have made a 3 million euro offer plus a player, but Levante is looking at an amount in the range of 5-7 million euros in order to part ways with their goalkeeper. Levante knows that right now they have a very good commodity in hand, and that Keylor Navas has increased his value to the highest point possible, so in order to cash in on him they will have to sell him during this offseason. Here is a video from Levante that has started to make the rounds on social media sites of Keylor Navas saving tennis balls during a practice session.